Lionsgate has released the new trailer for “My Little Pony: The Movie” showing off Emily Blunt’s villain Tempest Shadow. “Have Some Fun” appears at the very beginning! 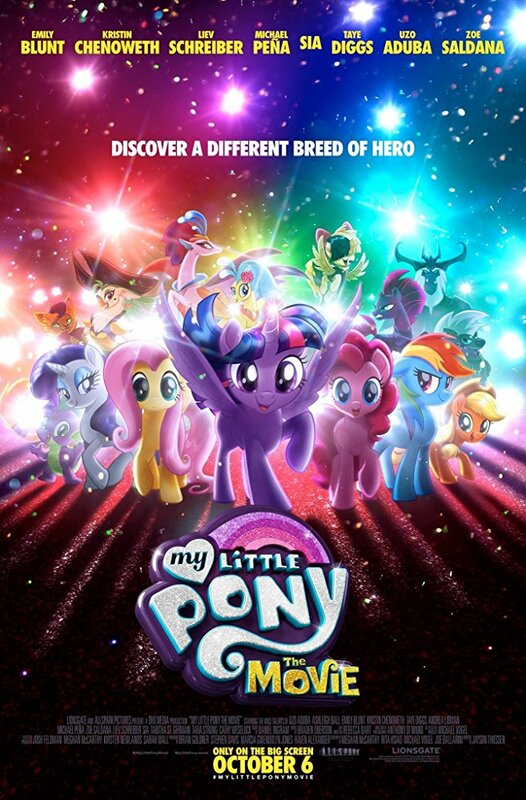 Kristin Chenoweth, Liev Schreiber, Michael Pena, Sia, Taye Diggs, Uzo Aduba and Zoe Saldana also lend their voices to the project in which the ‘Mane 6’ – Twilight Sparkle, Applejack, Rainbow Dash, Pinkie Pie, Fluttershy, and Rarity – embark on a journey beyond Equestria where they meet new friends and exciting challenges on a quest to use the magic of friendship and save their home. Also boasting an original song performed by Sia, “My Little Pony: The Movie” will hit theaters on October 6th. NEW SUN HEAT SINGLE: "COME AND GET IT FROM ME"